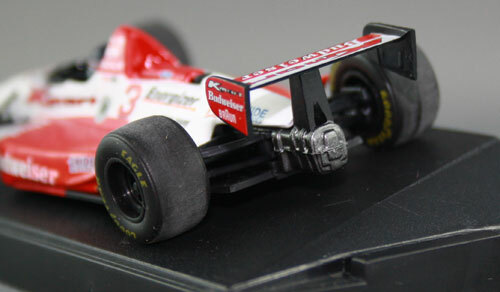 Portuguese manufacturer Onyx marketed a range of 1:43 scale Indycars in the early to mid 1990s. 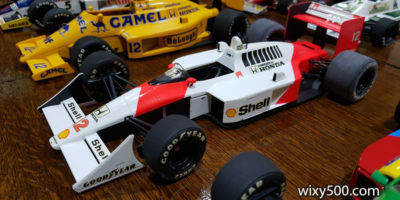 The models were very basic – plastic base plate, 1-piece diecast body, plus plastic driver, rear wing, suspension, rubber tyres and metal axles. The paint was usually good, but the decoration was often out of alignment. From a distance, they looked ok and certainly very colourful. But up close was a different story. Despite their basic nature, the value wasn’t too bad for the time. 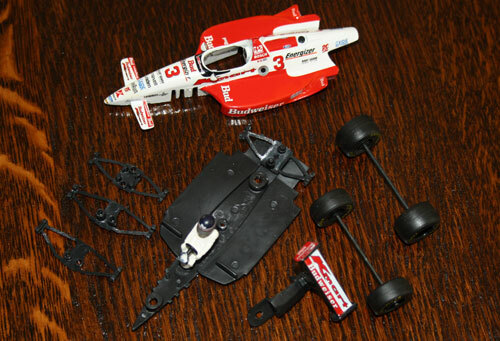 The Model: Onyx #264, Paul Tracy Lola T95 Ford. 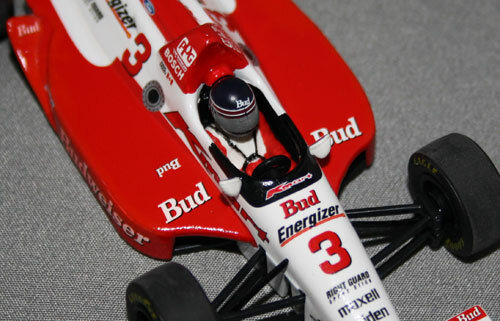 Apparently there is a quantity of ‘error’ models out there that have Michael Andretti’s helmet by mistake! 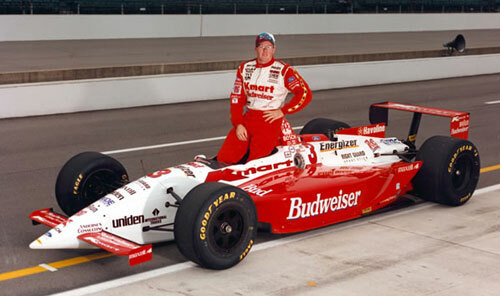 The Real Car: Paul Tracy in the traditional qualifying photo at Indianapolis, 1995. 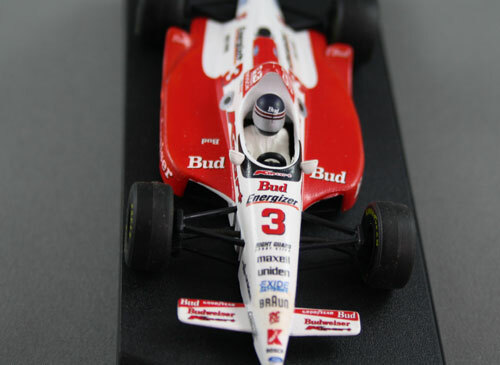 Minichamps did a 1:18 model of Tracy’s ’95 ride, but it was the road-course version. The ‘before’ shot. This Onyx version does not have the correct sidepod profile or engine-cover fin the Newman-Haas team ran. Also, front wings are white (they should be red) and there’s a white strip on the rear wing. Despite this being the ‘speedway’ version, the markings are more reflective of how this car ran in road course configuration. Drill out the two underside rivets and the parts come apart easily. Fabricating pushrods out of tie-wire found in the go-kart toolbox! I always remove the front axle and simply glue the wheels to the suspension, being careful to get the angles (position, toe and camber) acceptable. Above & Below: Cockpit detail, before and after. 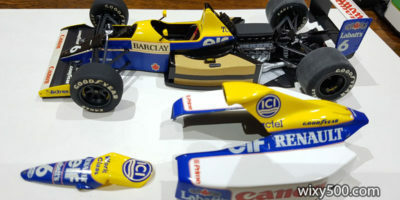 I painted the driver figure and belts, plus inside the cockpit, windscreen, rollbar and the white parts showing on the sidepods. Gearbox gets some metallic paint. Tyre treads are buffed to be more realistic.